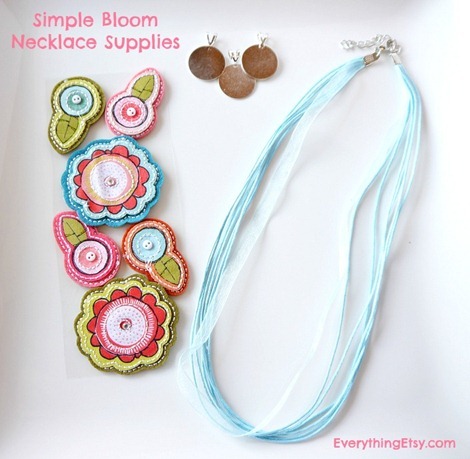 This Simple Bloom Necklace is so easy to make you’ll want to make a few at a time! I seriously can’t believe I never thought to try this before now. It only takes a few minutes to make and it’s the perfect DIY gift for mothers, teachers, friends, sisters…you get the idea, right?! I almost decided to not do this post because it was so simple, but I hope you you will find a bit of DIY inspiration from it. It all started when I was working on another project and walking around my local craft store. They didn’t have everything I needed, so I started to wander the aisles aimlessly…does that ever happen to you? Anyway, I ran across the prettiest scrapbook stickers made with fabric, felt, and a bit of sparkle. Well, I just had to make SOMETHING with them…but what? I didn’t actually know what I was going to do with them until I got home. I noticed there were two large flowers with matching shapes and the colors looked great next to the new necklaces I bought. I thought I might be able to stick one on plastic or wood and make a charm. Then I had that “Aha moment” when I realized I could stick them back to back…super cool! 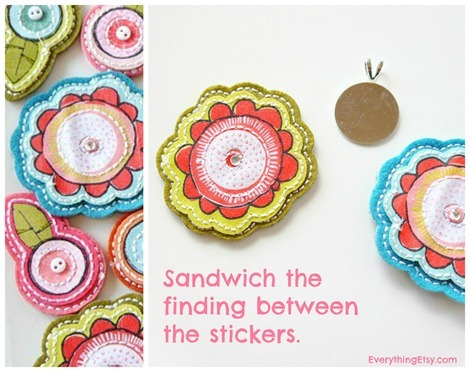 Take two stickers of the same size and shape and sandwich the jewelry finding between them. These stickers lined up perfectly. You could add a bit of glue if you prefer. This is what you get…I love it! 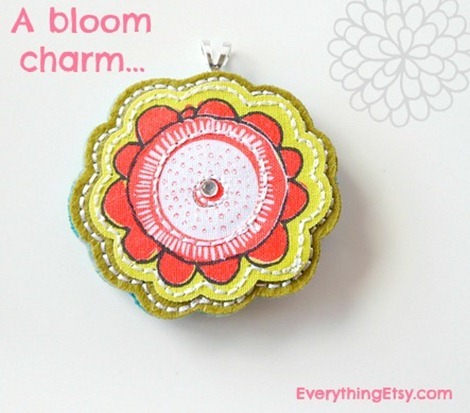 Make a couple more charms to add to your necklace. You can trim them a bit if they don’t line up exactly. 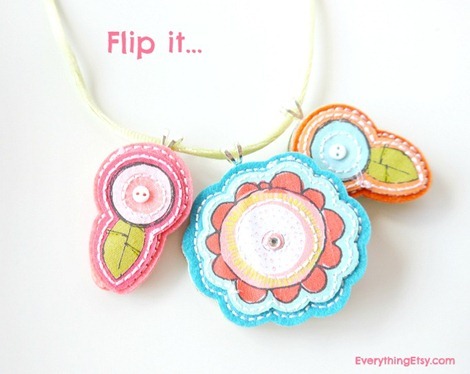 And here’s another cool thing about this necklace…you can flip it! Wear it with the blue flower showing or the green. It’s so simple and fun! I honestly got such satisfaction from making this because it turned out so pretty with such little effort! You gotta love that!! Your children could make them…anyone can make them in minutes! One tip…make sure your charm findings will slide over the pre-made necklace findings when you purchase them. 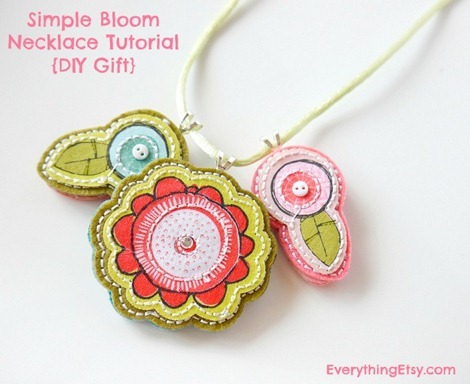 Or you can make your own necklace with satin cord and jewelry findings. Whatever works best for you. What do you think? 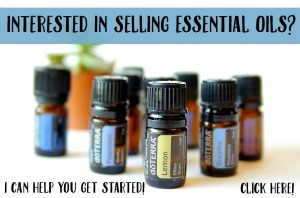 Are you going to try it?? Looking for more DIY projects??? 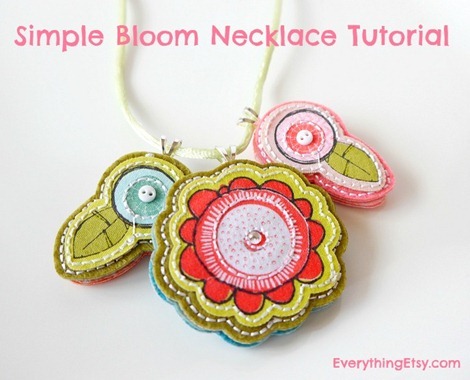 Check out our Everything Etsy Tutorial Gallery! You are sure to find something there you’ll just NEED to make! Oh, Kim! This is really sweet, and using the jewelry findings in the centers makes it look so much more polished. Thanks for a great idea! 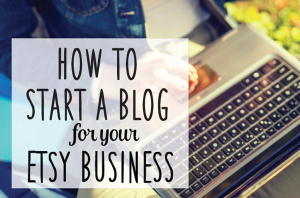 Who says easy can’t be great?! This is definitely on my to-do list. Thanks for such a cute idea! May I just ask you what would be the correct term for the jewelry findings you are using? I would like to purchase it online and seem to be getting wrong results all the time. Thanks, Francesca! I wish I knew the exact name of the finding, but I don’t. Sorry! OH! I wish we had a LSS around here!!! I love your idea!!! SO fun and colorful! Oh this is such an adorable idea! 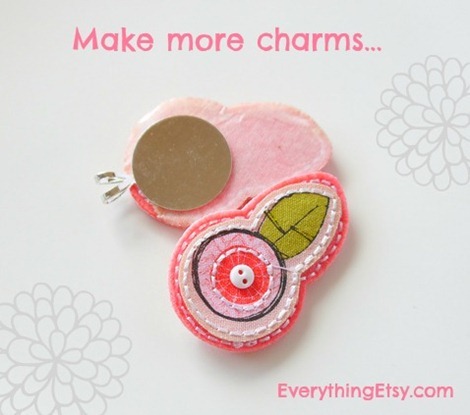 I think I am going to try something similar…maybe using pretty buttons. Absolutely clever idea to sandwich the bail between the stickers.